All your required inspection and audit forms containing various types of input fields, validation criteria, conditional questions and the possibility to put a signature. For each inspection question you can take, draw your comments and save pictures. Performing multiple inspections in parallel on the same device. Inspection and audit results, including pictures, to be immediately saved on a central server. Inspections to be performed in the absence of an internet connection. Synchronization of the inspection results with your existing database. Inspection Reports in PDF format. These reports can directly be sent by e-mail. Inspection database that also can be implemented within the client infrastructure. The solutions can easily be integrated within your existing application landscape. For Bureau Veritas Marine Nederland B.V. we have implemented a Port State Control Preparation App. 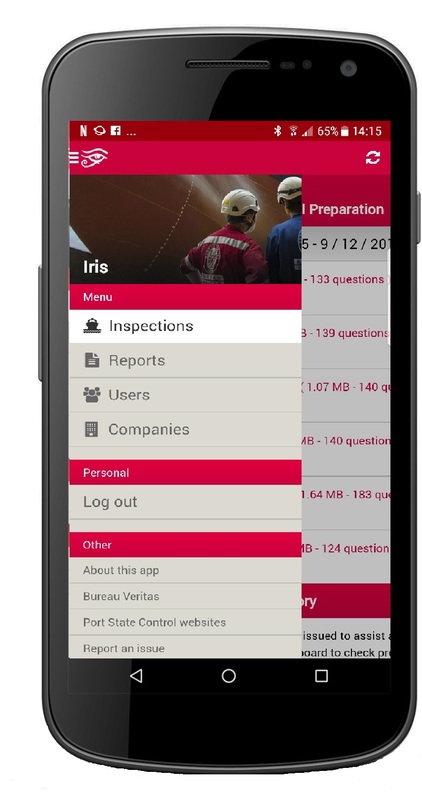 This Port State Control Peparation app contains Checklists that are issued to assist and help the responsible crew on board to check preventively the apparent condition of maintenance of the ship prior to the potential, expected or consecutive Port State Control inspection. The questionnaire is based also on similar checklists created and distributed recently by Flag Administrations,marine consultants and organizations. It is reflecting as well the recent data from statistics available apparently to Bureau Veritas from its own classed fleet and various external sources. This Mobile Solution is used by more than 150 different clients of Bureau Veritas Marine Nederland B.V. This an example of a Mobile Solution that MOBIS ICT has implemented for Bureau Veritas Marine Nederland B.V.